"Living in this ancient land suffused with a culture based on detachment and sacrifice, where every one is revered as reflections of Oneself, who is himself a reflection of the Ultimate Absolute, rotarians will find that their ideals are native to the people here. The query, "Who belongs to whom? Am I my brother's keeper," is alien to Indian thought. Here, each is All and All is One, namely, He or IT, or THAT. 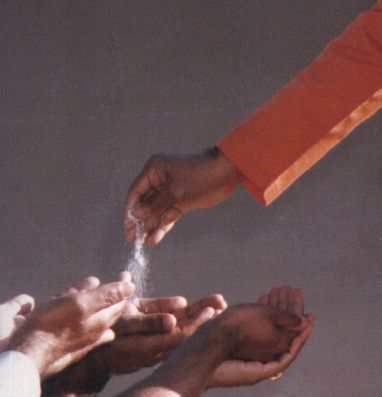 This has been the daily diet of India since the beginning of time"
At Shirdi, Baba gave the Divine Panacea, the Ash, contacted by His Divine Hand, from the Dhuni or Fire that was always lit and active in the masjid room where He spent His days. Now, the Dhuni is in His own Hand, ever ready to yield the precious gift; He has only to will and wave. 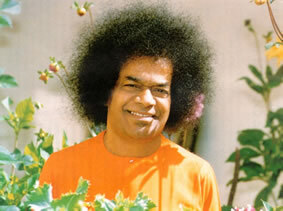 Nor is it essential that the ash or Vibhuthi as it is called in Sanskrit, should be so created. Baba wills, but, does not wave His Hand. 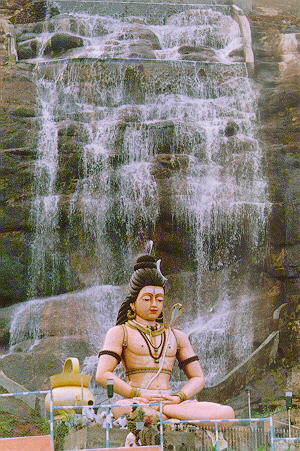 Yet, the Vibhuthi flows, as the stream of Grace, where He wills, when He wills. 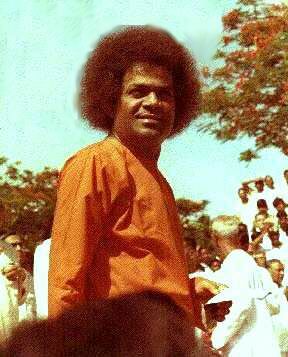 This is the greatest of contemporary miracles, this overflowing shower of Divine Vibhuthi Grace! 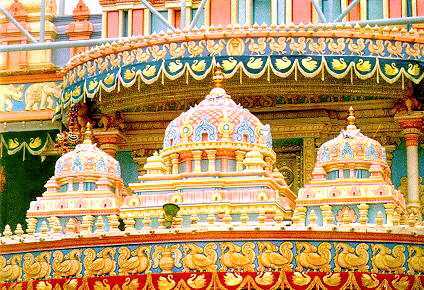 And, to demonstrate that He was all the manifestations of God known and unknown, it fell in continuous showers from the portraits of all the manifestations, Krishna, Rama, Siva, Muruga, Krishna and Christ. Perhaps Baba had a special reason for willing that the picture of Jesus shower the amazing new sign of Grace. 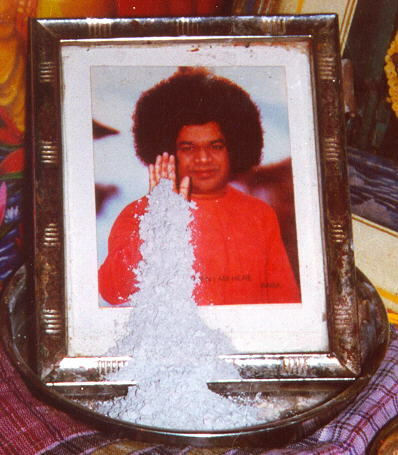 "At Akola, from the photograph of Sri Bhagavan Sathya Sai Baba, in our house, Vibhuthi, Kumkum and Haldi powder (turmeric powder, considered as auspicious) have been showering since two months"
"Persons who claim to be possessed by Me have appeared recently; order them out, wherever you meet them. 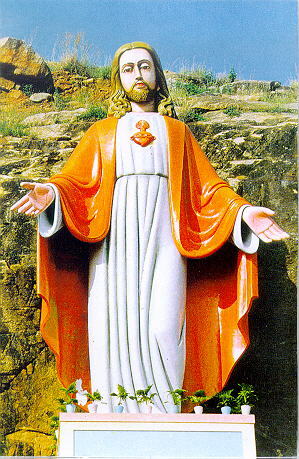 Do not yield to such morons and fakes, and lower your own dignity as devotees"